An exclusive evening to remember. Be the first to have an exclusive preview of the All-New Kia Stinger at our VIP evening event between 4pm - 7pm on Wednesday 9th August. The Kia Stinger will only be able to order from dedicated Kia dealerships, our Birchwood Kia dealership in Eastbourne being one of them. The Kia Stinger on display is one of the only models currently in the UK, and whilst the all-new model is available to order from October 2017, our VIP event will be the best opportunity to get a first look at the model, as these won't hit our roads until March 2018! With a special Kia Stinger representative, as well as our Kia trained staff, on hand to answer any questions and with refreshments on offer, this will definitely be an evening to remember. 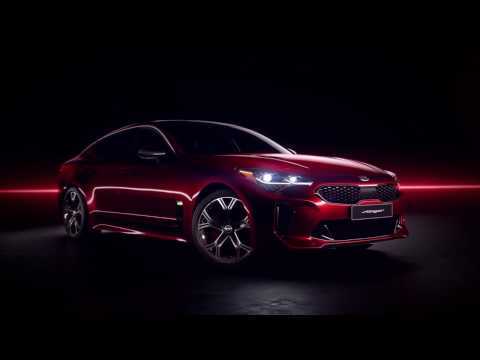 Whilst this is the first time members of the public will be able to view and get a feel for the All-New Kia Stinger, we were lucky enough to have a preview of our own. On July 26th, members of our Kia teams were invited to come and preview the all-new model for themselves, and boy were they impressed. See some of our photos below, but why not get some of your own? Book your place at our Kia Stinger event today.